Yes, even cleaner than Singapore. A while ago, we reported on a China-focused study that linked high levels of air pollution to unhappiness. Research from the Massachusetts Institute of Technology revealed that when air pollution in major Chinese cities was bad, the overall sentiments of its citizens were more negative. That study may be on to something, as the Philippines, which has been cited before as one of the happiest countries in the world, also happens to have the cleanest air in Southeast Asia. Global environmental analyst IQAir AirVisual recently released its 2018 World Air Quality Report, which revealed the levels of air pollution in 73 countries. 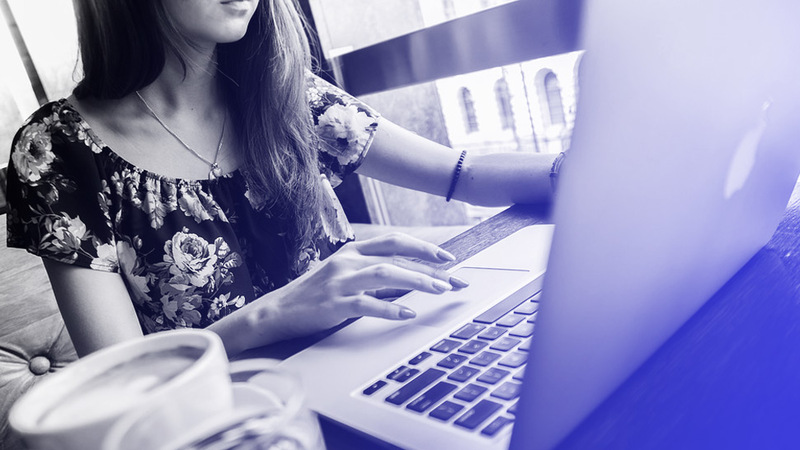 It does so by measuring the amount of PM2.5 in the air, which refers to particulate matter that are 2.5 microns in size—small enough to be breathed in and spread throughout the body. The report collated these measurements throughout 2018 and got their averages, which were then used for the rankings. 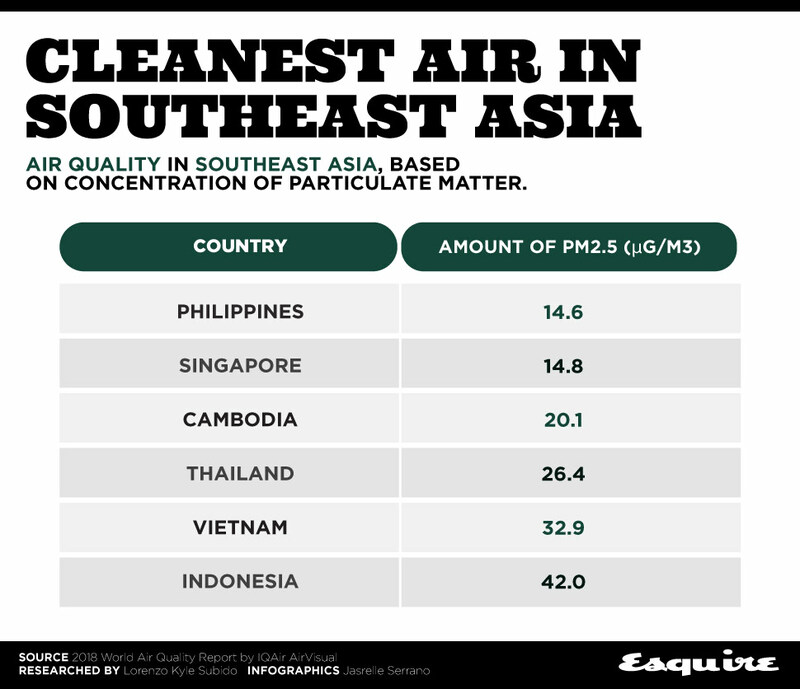 Of the six Southeast Asian countries included in the study, the Philippines reported the smallest average amount of PM2.5 in the country at 14.6 micrograms per cubic meter (µg/m3). It slightly edges out Singapore, where average PM2.5 levels for 2018 were recorded at 14.8 µg/m3. It’s also the only country in the region with cities that have PM2.5 levels within the World Health Organization’s target of 10 µg/m3. The honor of the cleanest city in Southeast Asia goes to Calamba in Laguna with PM2.5 levels of 9.3 µg/m3, with Valenzuela in Metro Manila not far behind with a figure of 9.9 µg/m3. On the other end of the list is the Indonesian capital of Jakarta, which is the most polluted city in Southeast Asia with average PM2.5 levels at 45.3 µg/m3. It’s followed by Hanoi, the capital city of Vietnam, with an average of 40.8 µg/m3. “Sources of air pollution in Southeast Asia vary between rural and urban areas in its various countries, with the burning of biomass, vehicular emissions and transportation as common leading sources,” wrote IQAir AirVisual in the report. 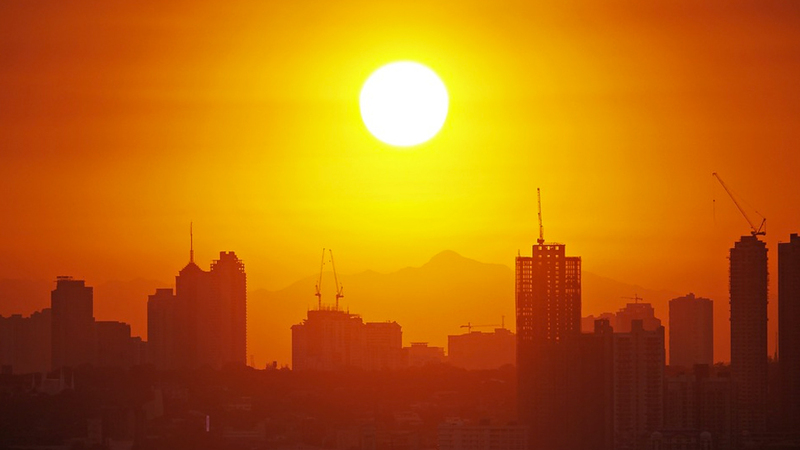 Taken on a global scale, the Philippines ranked 26th in terms of air quality. Iceland has the cleanest air with PM2.5 levels of only 5.0 µg/m3, while Bangladesh has the most polluted with a figure of 97.1 µg/m3.